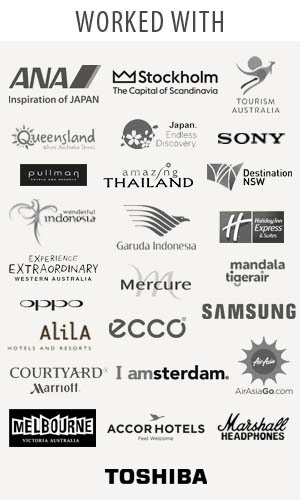 Traveljunkieindonesia.com – Give yourself at least a few days around northern Papua and southern Maluku. Once you have learned about birds of paradise. 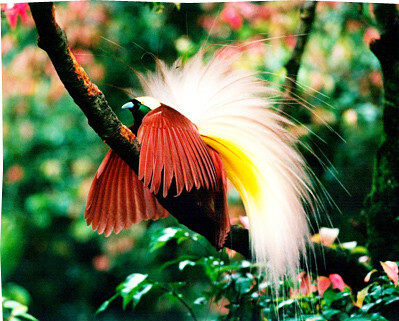 Over 40 different species of cenderawasih (bird of paradise) are found in small areas of northern Papua and southern Maluku, as well as PNG. Cendrawasih were first taken to Europe following colonial exploration around the Dutch East Indies. Their feathers fetched remarkable prices as fashionable accessories, so the birds soon faced extinction. Because traders often removed the birds’ legs and wings to highlight their beautiful plumage, Europeans originally thought that the birds had no feet and spent their entire lives in flight. The male bird is usually more brightly coloured than the female and displays its magnificent plumage during mating, often hanging upside down from branches to show off its colours. Cenderawasih usually nest in open parts of a tree, feed on fruit and insects, have remarkable thin, curled ‘tail-wires’ up to 30cm long with colourful tips, and make loud screeching noises. These birds are scarce and elusive, but with lots of patience, time and a knowledgeable guide, it may be possible to spot some. Finding them will require chartering boats, organising guides and carrying camping equipment, as their territories are remote: Waigeo, Misool, Batanta and Salawati islands (off the coast of Sorong); along sections of the aptly named Cendrawasih Bay; around the north coast of Pulau Yapen; and in the Aru Islands (southeast Maluku). Organised bird-watching tours can be arranged through travel agencies in Sorong, Manokwari, Biak and Jayapura.